Imagine, to save your child’s life, you are forced to uproot your family to a new city without a plan or means of income. 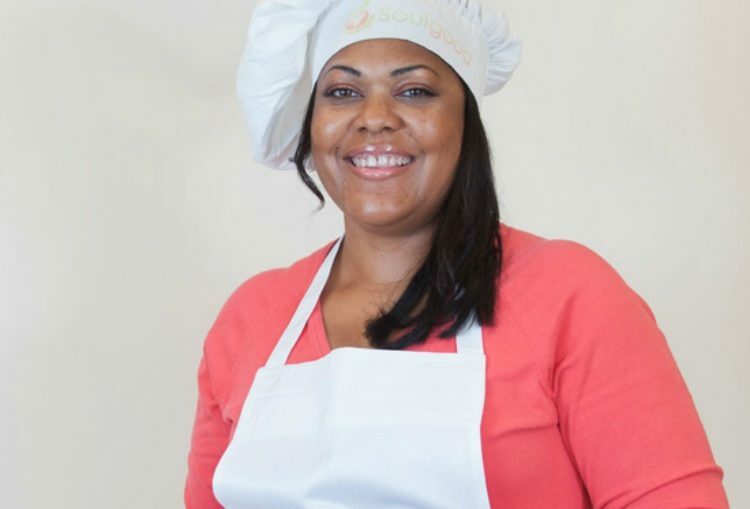 Chef Cynthia Nevels, owner and founder of Soulgood, an organic vegetarian and vegan fast food kitchen, has mastered the art of turning lemons into lemonade. Born with Cystic Fibrosis, Cynthia’s then 16 year old son Tyler was added to the UNOS organ transplant list in 2010. In an effort to prolong Tyler’s life while waiting for life-saving organs, Cynthia began preparing plant-based meals comprised of organic and local produce. The demand for her delicious vegetarian and vegan dishes extended beyond her family to friends and the healthcare professionals who were caring for Tyler. With a background in business consulting, this mother of three has created a business model that will allow Soulgood to see exponential and sustainable growth. 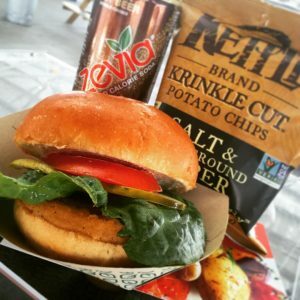 Soulgood is a 3-tier business with a catering component, a 5 day meal plan delivery service and a pop up restaurant at the Dallas Farmer’s Market. A food truck is next on the horizon. CEOMOM had the privilege of trying Soulgood’s popular vegan corndog, the StellaDog, at the Taste of Dallas. It was delicious! Though Tyler transitioned on July 23, 2015 from transplant complications, he still serves as the inspiration and motivation behind Soulgood. His faith that his mother could change lives through healthy food and a zest for life is a part of the mission of the company. Stay tuned for the full interview with Chef Cynthia in the September issue of CEOMOM Magazine. You have a compelling story! Thank you for allowing us to tell it. Congratulations on an amazing feature on Harry!